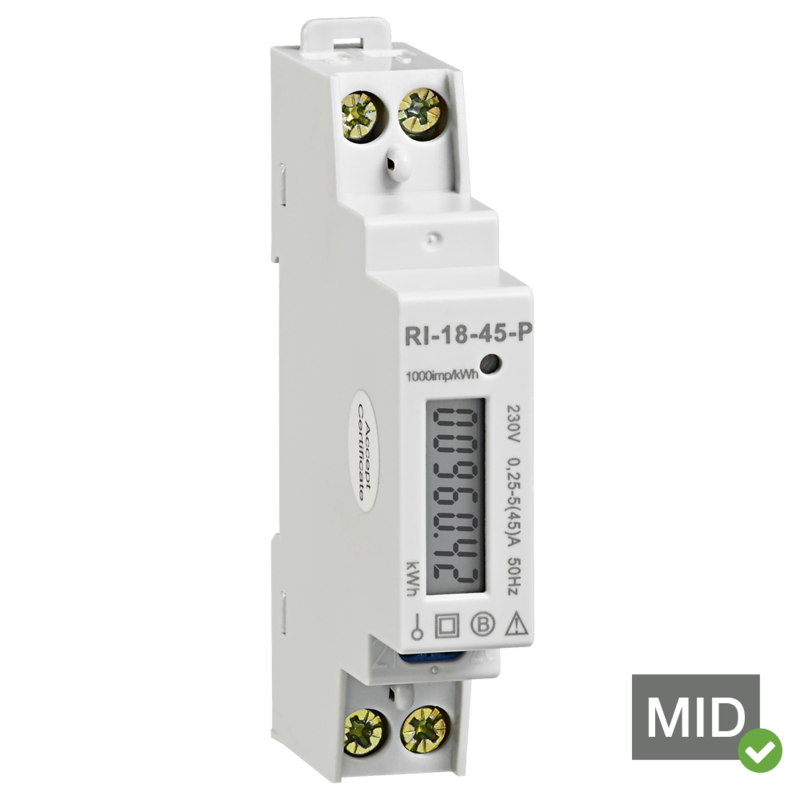 The Rayleigh Instruments RI-18-45-P is a MID approved and certified, single phase network kilowatt hour active energy meter. The RI-18-45-P is a 18mm wide (1 module), din rail mounted, directly connected up to 45 amps and has pulse output (1000 Impulse / KWh) as the communication protocols as standard. Applications for use include sub billing application such as :- camping sites, holiday rentals, student accommodation, office buildings, shopping centres, marinas, exhibition halls, recharging systems for electric vehicles etc. 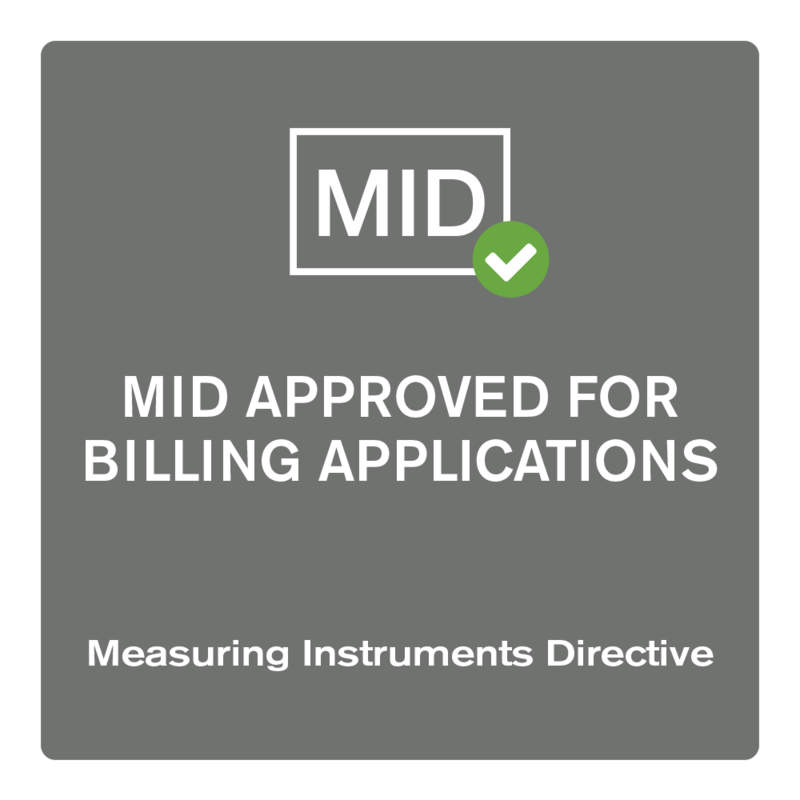 The MID (Measuring Instruments Directive - 2004/22/CE) is a 2004 European Directive applicable to measuring devices and systems in the context of commercial transactions. The aim of the directive is improve protection of consumers and safeguard their interests. These measuring instruments may be active electrical energy meters (Appendix MI003 of the Directive), water meters, gas meters, thermal energy meters, weighing instruments, etc. The use of MID-certified electricity meters has been made mandatory on "private"* electrical networks if there is active energy billing based on consumption readings by index differences. Typical examples of use include: camping sites, holiday rentals, student accommodation, office buildings, shopping centres, marinas, exhibition halls, recharging systems for electric vehicles. This model has been MID certified to the conform to B+D (ie type examination and quality assurance of the production process) of the MID approval process.